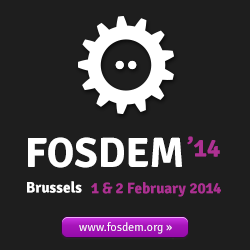 I’ll be at FOSDEM this year! If you want to chat about the new gedit or anything else I’ll be hanging around the desktop devroom. I am looking forward meeting my fellow belgian gedit developers swilmet and nud. I will land at 5:30 PM at the Charleroi airport, if someone wants to join me on the bus shuttle to Brussels feel free to leave a comment. In other news, if you are a young linux “smanettone” who enjoys sysadmin work on clusters and HPC systems, we have an open position in Rome.